Delegates can attend up to four workshops, round tables and work groups during lunch. Fee includes morning coffee and lunch. Registrations close on March 10, 2017 . Early Bird Rate is offered until February 20, 2016. All registrations are considered firm once payment has been received. Registrations are for the full day. The fee includes lunch, coffee and closing reception. We are unable to accept walk-ins on the day of the conference. Once you are notified that your booking has been accepted you can pay directly from the booking or from the invoice sent to you by service @paypal.com. ELSA bank details and Paypal account information are indicated on the invoice. Registrations mut be paid before the event. ELSA does not accept payments by check. Payments can be made by bank transfer, credit card or Paypal. ELSA cannot refund cancellations after March 10, 2017. Cancellations may be subject to a handling fee of 25€. Applications are considered from member schools only and for registrations placed by March 10, 2017. Please contact ELSA prior to applying. You will be provided with the documents in French to send to your OPCA. Registrations are paid by the school to ELSA, the school then applying through its OPCA for a refund of payment. All application documents must be sent in electronic form by email to: info@elsa-france.org. Please do not use the ELSA postal address to send your FC application as your mail will not be collected in a timely manner. A certificate of attendance will be provided by ELSA for those delegates only who have signed the attendance form. It is the school's responsibility to inform teachers that they must sign the attendance form. ELSA is not responsible for no shows. If you have any questions or are encountering difficulties with your registration please contact ELSA. We'll be happy to assist you. Scroll to the bottom of the page to print a hard copy of the program. This workshop will explore ways in which the text of a play can be read ‘three-dimensionally’ and remind us that characters speak, listen and respond in the present moment and have needs and hopes. Emphasis will be placed on the potentialities of the text’s scenic sequence as the play forwards itself, 'live'. This workshop will be interactive and participants will be expected to take part in a variety of fun and creative exercises. If possible, please bring along a copy of ‘Hamlet’. This session will focus on developing students’ awareness of and ability to use stylistic and structural choices in creative narrative prose. At each stage of the session, teachers would be encouraged to reflect on and discuss the benefits for students but also the challenges presented. Introduction : The session would begin by exploring a range of images to stimulate sensory reactions/ language choices (mind-map collectively using ambitious vocabulary/ adverbs/ the senses). Development : We would then develop this initial response by identifying word class and building up descriptions (link to the renewed focus on subject terminology/ wordclass in the 2015 English language GCSE). We would also explore how to develop students’ skills in creating a success criteria for creative writing, complete a planning task, annotate an A* exemplar and write creatively using the success criteria as the basis for self-assessment. My hope is: to reveal or expose the full potential that the made poem affords us - teacher and student - as we negotiate what it says and does. Reflecting now on years of entangling myself in poetry I’m aware that what a poem does, attempts to do, or doesn’t do, must not be ignored as we read (at times, over anxiously) in search of what it says. I hope to explore too how a poem resists us and how talking about such resistances can lead us to satisfactory, even pleasurable encounters with a poem. To steal a trope from poet Rita Dove: All art is a cage shaped by the artist into which he/she climbs so they might safely and distinctly sing. As one who writes poetry, I have found this notion of invention by way of restriction - the self-inflicted playing pitch (form) - both engaging and ‘true’, in literature and sport. Objectives : To identify techniques used by poets to achieve effects. To comment on the effects of techniques. To respond analytically/ re-creatively to the text. Explore creative ways to introduce and consolidate existing knowledge of key terms e.g. bingo, quiz, testing each other, matching activities. Explore ways to challenge students beyond feature-spotting e.g. post-it note examples as the basis of the quiz. Plenary : Explore creative ways of consolidating learning- class teaching of the two poems building student independence, challenge and oral communication. Reflection on how they mirrored the poet’s style. Recent UK National Curriculum (NC) changes have raised the profile of grammar with greater emphasis on linguistic analysis of texts and increased Spelling, Punctuation and Grammar weighting. This workshop gives primary teachers the opportunity to refresh their grammar subject knowledge to explore fun, interactive grammar teaching resources such as those freely available on the Englicious website and to participate in a discussion where participants can share their practices, views and experiences of grammar teaching. The overall aim is to provide participants with new ideas, strategies and support so they feel confident and enthusiastic about teaching grammar in the classroom. Participants should bring a tablet or laptop. Cambridge IGCSE and the OIB have modules for practical criticism - perhaps one of the hardest tasks that students of literature have to face. How can we best prepare them for this both in teaching them techniques for close reading and also in teaching students how to write a good critical essay? We shall explore different strategies and exercises to give teachers confidence and make the learning process fun for the pupils. The second session will continue where the first left off but I shall quickly recap for those who missed the first. It will offer more practical exercises and help for teachers who may feel somewhat daunted (let alone the poor pupils!) having to teach practical criticism. I start from the assumption that reading is a pleasure - a learning and sharing exercise and that for both teachers and pupils right questions are far more important than right answers (if that is not too zen!). How do we develop the conceptual skills, big picture thinking and fearless learner attributes of our students through History? The aim of this workshop is to shift away from a narrative-driven approach to history by considering history from a philosophical perspective. 'Thinking Like Hegel' implies going beyond typical enquiry questions instead we will consider the shape of history itself. With reference to a Hegelian model, my workshop will explore a critical thinking methodology. My resources will be based upon a scheme of work I have devised for lower sixth students on the inter-war years of the twentieth century. It may be surprising for some of us but physical sciences aren’t just a subject you have to learn in order to painfully get acceptable grades. It is a subject that also has “some” connections with the real world. Students go through their diploma years in an ideal world where nothing seems to challenge physical laws even when these go against / seem out of synch with personal experience. The result is that students lose any connection between theory and applications. In order to help students make that connection between science and the real world again, let’s take them out of their “comfort zone” and ask them to cope with a concrete objective: start a music band and play a song. Easy? … Not when you have only a tiny theoretical idea of the physical concepts behind music, and no musical instrument yet. Let's be honest: buzzwords like 'computer science' or 'computational thinking' are intimidating. They bring to mind geeky programmers in garages who spend late nights making lots of money doing highly technical things that few people understand. However, we educators are increasingly expected to teach these 21st century skills not just in tech classes but in all our subjects. How is this possible without first demystifying this opaque field? Come for a non-technical discussion about how we can use the problem-solving strategies and tools of computer science to enrich our classrooms. We will look at some storytelling software for English classes, modelling programs for the sciences, and other applications that spark your interest. This workshop is designed for teachers to expand and enhance their teaching strategies for including social justice issues in the classroom. These practical activities can be used throughout the K-12 curriculum. How socially just is your classroom ? Do you include social justice and human rights as part of your curriculum? Would you like your students to participate in social justice activities locally and globally? Recognising social injustice : There is injustice in the world. Injustice is produced and reproduced around race, class, gender, ability, or sexual groups that people are identified with. How does social injustice play out in the classroom? How do teachers foster a better understanding of social justice / social injustice in the classroom? Teaching for social justice : When teachers are teaching for social justice, they are working to end the cycle of injustice in the classroom. Teachers as “Agents of change” : Teachers can challenge injustice in the classroom. Teachers must learn to recognise what social injustice looks like, and develop strategies to counter such injustices from occurring in their classrooms. Do teachers want to be agents of reproduction, or agents of change? They can become agents of change through the content, topics and pedagogical strategies they use in their practice. A little girl in a red cloak and hood has been eaten by a wolf! A stepmother has had her eyes pecked out by a bird! A vain queen has danced herself to death in red hot slippers! All too often adults change these tales to address their sensibilities rather than children’s authentic needs. Such has been the case in our constant altering of ancient fairy tales in an attempt to make them ‘nice’ for our young listeners. The truth is that young children wrestle with their own issues as profoundly as we do with ours and these time worn tales both honour and address their deepest needs. Join us for this session during which you will hear, contemplate and tell traditional tales that speak to the heart and soul of your young students. This workshop will demonstrate how the learning of relevant topic-based catchy songs can vitally assist when learning any language. Words attached to music enable the permanent retention of chunks of vocabulary and grammar generally enhancing learning across the curriculum. Carole demonstrates this method of learning using IMI (Involuntary Musical Imagery) or ‘Earworms’. This will be a fun-filled workshop demonstrating how teachers can enable their pupils to retain extensive language by using Catchy Songs, Raps and Rhythm. She will demonstrate how learning songs, raps and rhymes containing topical phrases and everyday relevant questions and answers can enable pupils to subconsciously acquire extensive language along with the correct pronunciation and intonation without even trying! This method also greatly facilitates efficient speaking progression as each newly acquired song, rap or rhyme provides a base of vocabulary that is automatically built upon. The ‘acquisition’ of just one song or rhyme a week throughout Pre-Primary and Primary will provide the student with an incredibly comprehensive, subconscious library of chunks of language which will be available to be drawn upon in later years. Audience participation is encouraged. Suitable for young children and adults with developmental delays (Special Needs), Pre-Primary, Primary and any fun loving teens and adults! Examples in English, French, Spanish, Italian and German. In this practical workshop we will explore various types of learning within the physical education context. Participants will get the opportunity to inquire into skill related fitness in combination with cross curricular skills. We will reflect on the connections between PE and other subjects in the primary curriculum and how time can be maximised for teachers, in their school day, through cross curricular activities. Come and discover different ways to use PE games & strategies to engage students in science, maths & geography skills! The aim is for participants to leave the workshop equipped with practical take home games & experiences to use with their students. In this session, Fiona will provide an introduction to Positive Psychology, which is the science of well-being. The concepts underpinning this relatively new branch of psychology will be outlined. Seligman’s PERMA model of well-being will be discussed. Implications for enhancing personal well-being will then be presented. Research on the value of applying Positive Psychology to the school setting will be evaluated and Fiona will outline her personal experience of applying Positive Psychology interventions in the classroom. The presentation is suited to Primary Teachers who are interested in the area of mental health, on a personal or professional level. This workshop will demonstrate how the learning of relevant topic-based catchy songs can vitally assist when learning any language. Words attached to music enable the permanent retention of chunks of vocabulary and grammar, generally enhancing learning across the curriculum. Carole demonstrates this method of learning using IMI (Involuntary Musical Imagery) or ‘Earworms’. This will be a fun-filled workshop, demonstrating how teachers can enable their pupils to retain extensive language by using Catchy Songs, Raps and Rhythm. She will demonstrate how learning songs, raps and rhymes, containing topical phrases and everyday relevant questions and answers, can enable pupils to subconsciously acquire extensive language along with the correct pronunciation and intonation, without even trying! This method also greatly facilitates efficient speaking progression, as each newly acquired song, rap or rhyme, provides a base of vocabulary that is automatically built upon. The ‘acquisition’ of just one song or rhyme a week, throughout Pre Primary and Primary, will provide the student with an incredibly comprehensive, subconscious, library of chunks of language which will be available to be drawn upon in later years. Audience participation is encouraged. Suitable for young children and adults with developmental delays (Special Needs), Pre-Primary, Primary and any fun loving teens and adults! Examples in English, French, Spanish, Italian and German. Our children are growing up in a world plagued by climate disruption and all the difficulties and hardships that it does and will generate. Obviously, we do not want them to carry this issue on their small shoulders, but they live in a world reeling from the results of global warming. From a refugee crisis to the slow evaporation of clean water, they are not immune to the resulting issues. We can acknowledge what is happening, address their anxiety, and model behaviors that could empower them through stories. Ancient tales have a deep abiding love of the earth and the role of humans in maintaining its balance. This storytelling session will offer folklore that can be used to introduce and wrestle with the issue, as well as models that encourage children to act in response to it. Studying graphic novels in the primary classroom is an excellent way of inspiring pupils to write. When reading graphic novels less confident writers are supported in their visualisation of what is happening. This shows them what good readers do when they read. The study of the different panels and the illustrations themselves support an understanding of how characters and settings are portrayed and developed, how tension and suspense can be built up and how narratives are put together. Using graphic novels, including Flotsam by David Wiesner, this workshop will look at how pupils aged 9 and over can develop narrative techniques to improve their story writing. Teachers will be led through a series of activities that can be done with pupils to combine effective use of grammar and vocabulary with knowledge of how to hook and engage a reader. We believe that technology should be purposefully integrated in the 21st century classroom and have been using QR codes to document and track children¹s learning. In our session participants will see how by using QR codes we made our student portfolios interactive, how class assessments/reflections become valuable and cumulative (especially in an Early Years environment where children are not necessarily able to write down their results or feelings), learn how using QR codes in different ways can enable children to become independent learners in all areas of the curriculum, identify mistakes to avoid when making and using QR codes and learn how to actually make QR codes to start to use them in their own classes. Is your school interested in using GAFE in the classroom? Are you interested in learning more about how GAFE can foster collaboration? Let us share with you our journey from zero to full integration of GAFE across our middle and upper schools. It has not always been easy but we believe that the students have learned how to be better organized, utilize real world tools, build their digital competencies and most importantly benefit from collaboration in new and important ways. Our session is aimed at people who do not use Google Apps for Education on a regular basis and are interested in learning some of the basic features along with how to begin implementing it on a bigger scale. Have you tried Google Classroom or are you interested in trying Google Classroom? Come learn about all the new features and some of the best ways to foster collaboration within your classroom using this tool. Whether it is grading assignments or keeping your students connected to the classroom outside of the school’s walls, Google Classroom offers many great features. We will give you a chance to try these out from both the teacher and student’s perspective to get a strong understanding of using this great tool immediately in your class. It can often be difficult navigating how to use iPads & Apps in a way that fosters real collaboration and new learnings. We will show you our favorite Apps and discuss concrete ways to use them in the classroom to support collaboration, fluency, student ownership and so much more. The Apps are just the jumping off block for students to really begin to work with and understand information in new and creative ways. We will allow you time to examine the Apps and look at ways to implement them immediately into your classes. Reading is the core academic skill that all children are required to master by the end of the elementary school years. Reading is embedded into almost every other academic pursuit including math, science, history and, of course, language arts. Children and adolescents with reading disorders can experience problems not only with academic achievement but also with low self-esteem, poor mood, anxiety or even behavioral issues. Reading difficulties are often related to organic factors. For example, dyslexia is primarily a phonological disorder linked to specific areas of brain function. Other issues that can interfere with reading include slow processing speed, inattention, skipping or adding words, reversals, visual scanning deficits, and/or poor persistence. 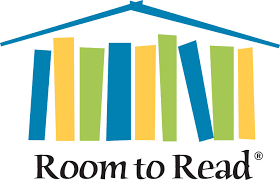 This section will review the process of becoming a good reader, issues that can interfere with becoming a good reader, and methods for remediating a variety of reading disorders in both younger and older students. Executive control is an essential element for success in learning, social functions, behavior and emotional regulation. Executive control refers to a broad range of skills including focus, problem solving, flexibility, persistence, multi-tasking, sequencing, delayed gratification, and initiation. Children and adolescents with executive difficulties are often quite bright but struggle to reach their true potential. Executive dysfunction has been related to a range of difficulties and disorders including ADHD, learning problems, sensory integration deficits, and autism as well as vague complaints such as academic inconsistency, “forgetting,” losing materials and disorganization. This section describes the organic underpinnings of executive development and control, and the impact of executive difficulties on learning, social functions, behavior and emotional control. The process of evaluating and treating executive dysfunction will be discussed. The dramatic changes in children’s growth from toddler to kindergardner stages are remarkable. Understanding the complexity of the cognitive, social-emotional and sensorimotor metamorphosis is a keystone to help facilitate a confident, independent and ready learner. This course taught by an occupational therapist will include the key development stages for this age group including how hand dominance emerges, when memory is consolidated and how posture development influences pre-reading skills. In addition, atypical developmental patterns and the impact that these have on the child’s learning in the classroom will be discussed. Intervention strategies for home and in the classroom are the primary aspect of this session. Ready to use strategies to help improve posture, stamina, focus and motor control will be incorporated in a workshop fashion. The participant will gain an understanding of how to identify when there is a delay, how to help prevent future delays and when to intervene. The explosion of developmental events from 6 to 12 years of age is some of the largest growth phases in life! Successful sensory integration lays the foundation for automatic skills at later stages, making this developmental phase a pivotal point for academic success. The integration of the two sides of the body allows for coordination of balance, bi-manual coordination, eye muscle teaming for visual perception and reading skills as well as body awareness and its relationship to handwriting. These skills provide the basis for emotional security, cognitive flexibility, sustained attention, organization and memory. This occupational therapist-led course will review the ages and stages of this primary aged group as well as the atypical developmental trends. Classroom intervention strategies that are easily incorporated into the typical structure of the day are included in this workshop-style presentation. Course content includes: effective tools to help students get focused and stay engaged; technology that supports written output; and strategies for the disorganized student. The participant will gain an understanding of typical and atypical development, how to design a curriculum to support students that need to move to learn and how to support written output and other sensorimotor demands in the academic environment. This course will include defining and identifying more able and talented learners as well as developing an ethos for challenge and high expectations. We will explore practical strategies and ideas for developing classroom provision and designing tasks for challenge. You will also examine questioning skills and dialogue to elicit higher order responses and look at designing and managing collaborative work to engage able learners as well as developing independent learning skills and related tasks, enquiry and problem based approaches, developing language and reading, and using homework to challenge and extend. Finally, we will discuss resources to motivate and engage more able learners. Thinking of launching a FABLAB in your school? In this session, teachers will discover exactly what a FABLAB is. They will be introduced to the basic equipment required in order to set up such a program and will find out how to integrate a FABLAB through STEAM, into the core curriculum. Those attending will also be taken through the steps involved in holding a “Maker Faire” and Cardboard Challenge” two exciting children's events that have become popular components of FABLABS. Are gifted kids getting you down? Do you find yourself at a loss or exasperated when dealing with an endless stream of questions from a kid who already seems to know all the answers? Fight questions with questions! And, if that fails, just ask more questions! In this workshop, I will share ideas from various gifted programs I have developed over the past fours years at the Ecole Jeannine Manuel. Largely scientific in nature, this gifted program draws many ideas from modern tendencies science inquiry and the maker movement, with inspiration from as far afield as San Francisco's world-famous Exploratorium! I have been a teacher for forty years. Throughout that time children have not really changed very much. Parents, however, or at least parents’ attitudes towards teachers have changed immeasurably. Parents are now so keen for their children to be seen as ‘perfect’ they struggle to accept any kind of criticism of their child. Their child has to be perceived as a perpetual success! Any kind of real or imagined academic or social failure is blamed on the teacher. This not only leads to teacher stress but also to children having poor self-discipline and little resilience. What is more, a few difficult, dissatisfied and gossipy parents can cause mayhem in a school. This talk will give you a practical, school wide, teacher-friendly system for successfully working with difficult parents. We want our pupils to be academic successes, of course, but we also want them to have resilience and personal strength of character. We want them to be able to treasure and care for each other, to forgive, share, listen and live their young lives with honesty and integrity. How do we do that? How do we give children the skills and resilience to be their best selves now and to go on being their best selves throughout their lives? It will not be through chance! This session will show how we can make this happen through having a clear school ethos backed up by practical school systems. Fiona will introduce two particular components of Positive Psychology: Character Strengths and Positive Emotion. Research showing the benefits of each component to well being will be outlined. Fiona will then share some practical ideas for developing each component in the classroom setting. These ideas are particularly suited to children aged between 8 and 12 years. Video clips of children engaging with these topics will be shown. The presentation is suited to Primary Teachers who are interested in the area of mental health, on a personal or professional level. Practical exercises to help both teachers and students develop PRESENCE and become effective, connected, powerful communicators. The processes of teaching and learning that occur in the average classroom tend to keep the humans involved in those processes very much “in their heads” for long periods of time. It is very easy at such times to forget that the body even exists, and very easy to negate its importance. However, the act of communicating is an intensely physical act and it can be very useful to prepare the body (including the voice) effectively for its role in that process, and also to develop the habit of tuning into our bodies at regular intervals, thereby developing mindfulness, improving stress reactivity and preserving vocal and physical health. Many educators are faced with the challenges of the linguistic and cultural diversities of their students in an intercultural classroom. Through student narratives, this presentation will discuss how students make a distinction between competency and performance related to their language learning. Students’ self-assessment moves beyond the spoken language and extends to their written and reading proficiencies. We will demonstrate how students’ self-assessment influences the strategies they use to negotiate socially constructed and co-constructed discursive practices in an intercultural setting. The relationship between native language, habitual language, language choice, and language proficiency is discussed. Digital Citizenship is often mistaken for online safety, but the true concept goes much further. A digital citizen uses technology responsibly, knows his/her rights, and respects others online and off and educators are in the enviable position to help children “begin as they mean to go on.” There are several programs on Digital Citizenship in the United States and Europe and this session on Digital Citizenship in Schools highlights some of the best practices. The session is led by Dr. Elizabeth Milovidov, a consultant for the Council of Europe on Digital Citizenship Education, and is geared towards teachers of all ages. The session will explore useful strategies to help children (and their parents) on their digital journey and will identify key resources that teachers can adapt for their own schools. I have heard many times a potentially apocryphal story about a study done in the U.S. wherein respondents were asked what they fear most and, above even death, the respondents overwhelmingly said that public speaking was their greatest fear. Very few of us enjoy the benefits of actual training and practice in public speaking before we find ourselves in the position of having to do it, which can make the whole experience intensely frightening. Despite this, when we ask students to make presentations in class, we often focus almost exclusively on the content and structure of the material they present and offer very little, if any, guidance or feedback on the physical act of making the presentation. And this means, I believe, that we are missing out on a tremendous opportunity to empower students by providing them the chance to develop real skills and confidence in an arena that most adults it seems would rather die than enter. This workshop would focus on practical methods for teaching presentation skills and public speaking in the classroom as an end in itself, and not simply as a means of exploring other educational content. The apparently well-developed English conversational skills of students in international and bilingual schools may conceal underlying language or learning difficulties related to underdeveloped academic language (AL). This presentation will share research findings that add to our knowledge base about the nature of AL and factors affecting its development. Firstly, a multidimensional model will be presented which enables teachers and other practitioners to identify the lexical, cognitive and interpersonal elements of AL. Participants will watch videos of Grade 6 students talking about their work and then analyse the transcripts with the aid of a rubric. The critical background experiences contributing to the AL development of these students will be explored. The final discussion will consider to what extent the methods presented in this session might help educators distinguish between multilingual students who are following a normal path of English language development and those who may need particular support. This round table marks the launch of the ELSA Curriculum Coordinators' Work Group. Carleen Helaili is the Curriculum Coordinator for the American School of Paris. She works throughout ASP with educators on the written, taught and assessed curriculum with a focus on differentiated instruction. Collaborating with teachers in teams or departments Carleen develops curriculum using the backwards design model (UbD) which includes a focus on assessments and differentiation. Carleen has a MA in Special Education and Teaching from Fordham University and a BS in Mathematics and Secondary Teaching from Stony Brook University. Her experience as an educator includes 4 years as a curriculum coordinator and 18 years as a secondary mathematics teacher in private, public and international schools. At the elementary level, she did her Special Education practicum in a kindergarten summer program for children with special needs. At ASP, Carleen worked along side of ASP’s visiting professor and her mentor, Grant Wiggins in the many aspects of curriculum development specifically Understanding by Design and Schooling by Design from 2012 to 2015. And finally, she co-chaired the re-accreditation process including the preparation of the self-studies, planning for the team visit from the Council of International Schools (CIS)/Middle States Association (MSA) in 2013-14. This round table marks the launch of the ELSA Guidance Counselors’ Work Group. Brendan is Head of Pastoral Care at The British School of Paris, a position he has held for the past four years. He is also completing a Masters in Education with a focus on intercultural competence amongst students in international schools. Brendan spends a lot of time exploring aspects which affect students educational experiences and have a particular interest in tackling anxieties and stresses caused by modern day living and expectation. Betty LAU is Head of English and University Advising at the Sections Internationales de Sèvres. She is an adviser for universities in the UK and and oversees the post-bac guidance programme at Sèvres for the anglophone section. Betty has been part of the OIB community for more than 15 years, beginning her career at the Lycée International de St.Germain-en-Laye. She was for many years on the ELSA FRANCE planning committee for the annual TDD (Teacher Development Day) in Paris, and is now a board member of ASIBA, which promotes and supports international sections offering the British option of the OIB. She is also part of the ASIBA University Entrance Group, led by Nick Baker. Marcy Zicari is a NY state certified teacher in Biology, General Science and French for grades 7-12. She earned her BA from Fordham University in Philosophy. After raising her family she returned to school and earned a BS in Biology Education from SUNY at Buffalo. She received her MS in Curriculum Development and Instructional Technology from SUNY Albany. Marcy is a founding faculty member at Notre Dame International High school. Helen is one of the high school librarians at Ecole Jeannine Manuel Paris. Biographies are listed in alphabetical order. Originally from Scotland, Leigh has been an Elementary classroom teacher at Marymount International School, Paris for over 20 years. She is now responsible for the FABLAB, integrating STEAM throughout the core subjects, as well as being the Technology Integrationist for Middle School. Leigh is also the Math Coordinator at Marymount. Rebecca is a Voice & Text teacher/coach with eleven years’ experience working with young, in-training actors, as well as seasoned professionals. Originally a high school English and Drama teacher in Ontario, Canada, repeated experiences with on-the-job vocal fatigue and voice loss led her to seek out voice training with Toronto’s renowned coach, David Smukler. Finding the voice and body work she encountered in those classes powerfully therapeutic, she decided to chart a new course for her life and completed her MA in Voice Studies at the Royal Central School of Speech and Drama in London, UK. Rebecca’s fascination with the importance of the body-mind connection in promoting emotional, mental and physical health is the foundation of her voice work practice and her research into breathwork and its implications for actor training can be found in the book, Breath in Action: The Art of Breath in Vocal and Holistic Practice. Edison David is head of a primary school in Southeast London. His school is a National Support School, currently supporting various schools around England including schools in Norwich, Devon, Portsmouth and London. He also serves as a Local Authority School Improvement Adviser. Edison works for OFSTED, inspecting schools in the London and the Southeast Region. Mr David regularly presents in national conferences and events talking about his leadership successes in school improvement, achievements of disadvantaged children, narrowing the gap, provisions for gifted and talented pupils, achievement and standards in mathematics, among others. He was recently selected to be a member of the review group tasked to advise the Department for Education regarding Data Management and Teacher Workload. Currently working at Marymount International School of Paris in a Kindergarten class, Susana de Almeida holds a Master in Educational Sciences and a Degree in Teaching English as a Second Language and has been teaching for 15 years. She has published English as a Second Language books and is a speaking examiner for Young Learners for the University of Cambridge. Writer and poet Edward Denniston lives in Waterford, Ireland and attended Trinity College Dublin. He is an experienced facilitator of creative writing and drama workshops. Before retiring in 2014 he was a secondary level teacher of English and Drama. During this time he facilitated workshops for teachers at regional and national level. In 2007 his book of drama scripts, Interacting (Russell House UK) was published. In recent years he has been part of a Theatre Royal Waterford Shakespeare project, editing and preparing plays for performance. He continues to facilitate writing and drama workshops for adults and young people. Currently, is he completing an M.A. dissertation in the area of romanticism and contemporary nature poetry. Two collections of his poetry have been published with a third due out in June 2017 from Salmon Poetry. ​In May 2016, his poem Sheepskin Coat won the Hungry Hill poetry competition. He has led Shakespeare and Performance workshops for International Baccalaurat students at Ecole Jeannine Manuel, Lille, France. In 2017, Edward will join the tutoring and assessment team for the teacher training programme at National University of Limerick. Lise Gerard Faulise is renowned internationally for her workshops on sensory processing disorders. Ms. Faulise is the founder of Rehab New England, a private sensory integration-oriented practice in Rhode Island, and co-founder of the Wolf School in East Providence, Rhode Island, designed for K-8 children with learning differences. She currently conducts research at the Wolf School and provides private clinical services in the New England area. Ms. Faulise’s past experience includes teaching administration/management at Worcester State College and clinical instruction at Saint Louis University, where she was director of the Faculty Practice in the Department of Occupational Science and Occupational Therapy. She received her Advanced Masters of Science in Occupational Therapy from Boston University. Trained and experienced as a primary and secondary school teacher then educational psychologist in the UK, Jenny has worked for 27 years as a learning support teacher and psychologist in bilingual and international schools in France and Cambodia. Her doctoral research project, “Spoken Academic Language: a multiple case study” (2016), explored factors which affect the academic success of multilingual students. This work stresses the importance of understanding the longitudinal development of multilingualism. It has been presented at international conferences and workshops for teachers, administrators, psychologists and other practitioners. Jenny is passionate about promoting the growth mindsets necessary for all those involved to remain optimistic about positive outcomes for students who seem to be struggling to learn additional languages. She is currently working as a free-lance Educational Psychologist offering consultation, assessment, training and supporting action research. She has 2 multilingual sons and her hobbies include golf and playing the saxophone. Fiona Forman is a Primary School Teacher from Dublin, Ireland. She has almost thirty years of teaching experience and has taught all primary class levels. Fiona holds an honours B.Ed. degree and a Diploma in Montessori Education.Fiona’s keen interest in children’s well-being and mental health led her to undertake a M.Sc. in Applied Positive Psychology (MAPP) with the University of East London (expected completion - 2017). She is the co-author of Weaving Well-Being, a recently published well-being programme for children from 8-12 years. Fiona has also co-designed and delivered a number of professional development courses for teachers on the subject of Positive Psychology in schools. I am a Primary School Teacher, currently teaching in both upper and lower elementary school in Cité Scolaire Internationale in Lyon. I received my International Bachelor of Education at St. Patrick’s College in Dublin. As well as my teaching role, I am also responsible for technology integration in the Primary school, which involves training and assisting teachers in the effective use and integration of technology into their teaching and into their students’ learning. Maggie Goldthorpe is a teacher and author. She has been a teacher for 40 years, teaching in mainstream primary, secondary and primary special schools as well as an advisory teacher with two LEAs. She has worked with IAPS, ISA, British and American Service Schools, GDST and GSA schools for the last 19 years. This work has principally been with school leadership teams on long term strategic planning for ethos, vision and values, as well as consequent staff training. She specialises in practical training which helps schools enable pupils to become their best selves. Margaret has spoken at numerous conferences worldwide and has written eight books. When not teaching, hiking, eating, running, biking, drinking or canoeing, you can probably find Michael in a hardward store, museum, or lab, cooking up some more mad-scientist equipment to share with his students. Proud founder of the Homemade Lab Project (2013) and Science Video Contest (2015; www.youtube.com/sciencevideocontest ), and creator of numerous gifted programs (2013-16) spanning from CE1 to 3e (7-16 years old). Michael has recently been named coordinator of science programs for gifted students at the Ecole Jeannine Manuel in Paris, and has been instrumental in the school-developed science inquiry curriculum being adopted at the Ecoles Jeanine Manuel of Lille and London. Dr. Holler is a distinguished Pediatric Clinical Neuropsychologist and Associate Professor at the Alpert Medical School, Brown University. Dr. Holler graduated with a Ph.D. in 1996 from the University of Florida, and completed her residency and postdoctoral fellowship at the Brown Medical School Psychology Training Consortium in 1998. She has co-authored dozens of publications, and received the Alpert Medical School of Brown University Teaching Recognition Award in 2006 and 2014. For the last two decades, Dr. Holler has worked extensively with children and families to identify and overcome a variety of cognitive and psychosocial difficulties. Her clinical focus has been on learning disabilities and the impact of executive dysfunction on the social, emotional and behavioral functioning of children. Dr. Holler’s research has in the last decade has centered on identifying and addressing the impact of poverty and trauma on neurocognition in under-served children. Laura Hynes is a graduate of Trinity College Dublin, where she studied English and French. She began her teaching career in 2007 as a teacher of English at Lymm High School, a large comprehensive school which was judged outstanding by Ofsted in 2008. In 2010, she began teaching in Chesham Grammar School which is both selective and highly academic. Her role in this Ofsted outstanding school was Lead Teacher for Teaching and Learning and whole-school literacy co-ordinator. From 2013 to 2016, she taught at Tolworth Girls’ School (Director of English- Associate Assistant Head), where she led significant improvement in results and the quality of teaching within the department. She is now an Assistant Head Teacher with responsibility for Teaching School and literacy across the curriculum at Windsor Girls’ School, judged to be an outstanding school by Ofsted in 2013. She leads on NQT and Schools Direct provision as well as developing the CPD provision across a partnership of schools. She remains a committed and passionate classroom teacher, sharing a love of learning and English with colleagues and students alike. Anna Jeziorowska has been the Head of Physical Education of the Primary campus of International School of Paris for the last 5 years. Prior to that she worked as a special education teacher in UK and PE teacher in Poland. She has also worked in Sweden, Switzerland and USA where she taught and coached swimming. She has recently presented at the European conference for International PE teachers on the concepts of aim and accuracy in target games. Anna graduated from Academy of Physical Education in Gdansk, Poland with a MA degree. Having 18 years of teaching experience, Ingrid Kay is currently working at Marymount International School of Paris as a technology integrationist. She has taught from Kindergarten to Grade 7 all around the world, which has given her a global view of the way technology, can be effectively used in the classroom environment. Hélène H. Leone earned her Ph.D. in Education from the University of Ottawa. Dr. Leone has taught students from kindergarten to the university level. She has taught teachers how to teach, and how students learn. As a university lecturer, Dr. Leone has also taught about social justice across the curriculum, as well as education and media through the Faculty of Education at the University of British Columbia. Dr. Leone has been the DP Coordinator in the International Baccalaureate Programme (IB), and Head of Modern Languages in the IB MYP and PYP Programmes. Dr. Leone has worked as an educational researcher for the Office of the Commissioner of Official Languages, the Fédération culturelle-canadienne française and Heritage Canada. Dr. Leone was born in Montreal, Quebec and raised in Vancouver, British Columbia. Dr. Leone now lives in Paris, and is the founder and director of the Canadian Bilingual School of Paris. Neil McKain is a History and Geography teacher at the Cité Scolaire Internationale in Lyon, France. Neil is originally from Edinburgh in Scotland. He holds a degree in Geography from St Andrews University. In 2000 Neil completed a PGCE and began his teaching career at North Berwick High School in Scotland. In 2003 he and his wife moved to New Zealand, where Neil continued to work as a Geography teacher. Following the birth of their first son in 2007, Neil and his wife decided to move back to Europe. An exciting opportunity arose in France so they moved to Lyon in 2008 and Neil took up his current position. When he's not teaching, Neil is a keen cyclist and enjoys getting out and about with his two sons. He really appreciates the benefits of living in France and keeps a well-stocked wine cellar: the fulfilment of a lifelong dream. Rory McCormick has been working in education for 13 years. He taught secondary school Mathematics to 11 – 18 year olds for 10 years in the UK and is currently working as a middle school teacher at Marymount International School Paris. Rory graduated from Queens University Belfast with a Bsc Hons in Mathematics and obtained a Post Graduate Certificate in Education from Hope University Liverpool. He is now studying for a Masters in Educational Leadership at Edge Hill University. Having worked as a Head of Department and Advanced Skills teacher in the UK, he is now the STEM coordinator for Marymount and helped launch their newly built fabrication laboratory in September 2016. Dr. Elizabeth Milovidov is an Independent Expert on Digital Parenting and a member of the Expert Working Group on Digital Citizenship Education for the Council of Europe. She is a lawyer from California, a law professor in Paris and an eSafety Consultant in Europe. She blogs for the Family Online Safety Institute and is a regular speaker at conferences and schools in Paris and Europe. Her core work involves researching solutions for parenting in the digital age to empower parents as they embark on the digital age adventure with their children. She is the founder of DigitalParentingCoach.com, a website and community with resources and tools for parents. Carole graduated from Aberdeen University where she studied French, German and Spanish, and went on to teach at Robert Gordon’s College. Here, her methodology, (‘Speaking Progression using Song and Rap’) was tried and tested. In 2003 she produced her first CD ‘Français! Français! !’ which won the European Award for Languages. Since then she has written a suite of resources for her company The Language Factory, where the emphasis is Learning through Song. Her resources, which have also been written for young learners of English (EFL/EAL) Spanish, German, and Italian, are now being used worldwide. Carole is based in Aberdeenshire in Scotland. I am currently a Middle School teacher and Technology Coach at Cité Scolaire Internationale. Last year I completed The Certificate of Educational Technology and Information Literacy (Coetail) which focused on integrating creativing and technology into a collaborative classroom. Clodagh Ryan is currently a PE teacher and Primary School Vice Principal (Organisation) at the International School of Paris. Clodagh was previously head of PE at ISP primary for ten years. Clodagh has presented many times at the European conference for International PE teachers on topics varying from concept based PE to inquiry in gaelic football. Clodagh graduated from the University of Limerick with a BSc in Physical Education and the University of Bath with an MA in Educational Leadership. Paddy Salmon (a former ELSA president) retired 5 years ago and is living in the Pays de Caux, though he and his wife Vicki (also an English teacher) offer residential English courses (through literature) for 11-18 year olds in international sections during school holidays (paddysalmon.wix.com/english-courses ). He read English at Cambridge and was Head of English and Drama at the Sections Internationales de Sèvres for 25 years having taught in England for 13 years as Head of English in various comprehensive and grammar schools. A major pedagogical influence was and is "Teaching As A Subversive Activity" by Neil Postman and Charles Weingartner (1971). ​Ron Schildge teaches Design & Technology at the American School of Paris. His classes include Mobile Application Programming, Coding the Web, Simulations & Game Design, Robotics, and AP Computer Science. He has also taught English, History, Math, Economics, and Science at Holderness School, Proctor Academy, Suffield Academy, and at the United World College of India. He earned his MBA from the UMass, MA from Dartmouth College, and BA from Middlebury College. Dr Ellen Smith-Dennis studied English and Linguistics at the University of Manchester and was awarded her PhD in Linguistics from the University of Newcastle, Australia, where she documented and wrote a grammar of an endangered language in Papua New Guinea. She has wide teaching experience of both linguistics and the English language in schools, colleges and universities in many countries, including Australia, Brazil, England, Fiji, Indonesia and Portugal. Ellen has expertise in grammatical description, linguistic diversity and change, language acquisition, multilingualism and English as a Foreign Language (EFL). She was previously employed on UCL’s Englicious ‘English Grammar for Teachers’ project (which involved running CPD courses for English teachers), and taught English Linguistics at UCL. She is now Assistant Professor in Linguistics in the Centre for Applied Linguistics at the University of Warwick. I have lived in France with my wife and two children for seven years and am currently working as a History teacher at the Lycée International of Saint-Germain en Laye, teaching students from sixième to terminale. My university years were spent at the London School of Economics, where I studied History as an undergraduate, and at York, where I undertook and MA and a PhD. The PhD was a study of the impact of the Great War upon civilians living in the Somme, with a specific focus upon the reconstruction of the towns and villages of the department in the wake of the devastation. Following this, I appeared in the BBC history series The Wonderful World of Albert Kahn, which looked at the work of the pioneer of colour photography in wartime France. My interest in the psychological, political and social trauma of war has profoundly influenced my approach as an historian. I have become increasingly fascinated by the hidden dynamics which shape great events in history and use philosophical models of causation –be they Hegelian or Marxian as my intellectual guide. I continue to work in French archives and aim one day to publish my work as a book. “Pure” product of the French educational system, Bjorn Zajac is a physics and chemistry teacher preparing students for the French Baccalaureate. When he joined the Ecole Jeannine Manuel 11 years ago, he was rapidly confronted with different educational philosophies through the contact with international students and international colleagues. Thanks to many enriching experiences, like the creation of IQS, an Inquiry Based Program of sciences designed for middle school students, or the teaching of Theory of Knowledge for the IB, as well as being an examiner in physics for the IB program, he has tried to take the best of all these different approaches to enrich his experience as educator.